The Alliance was created when the nations of the seven human kingdoms of Azeroth joined together with other races to fight the Horde. This Warcraft Movie Alliance Logo Metal Keychain displays the lion emblem from the 2016 film. 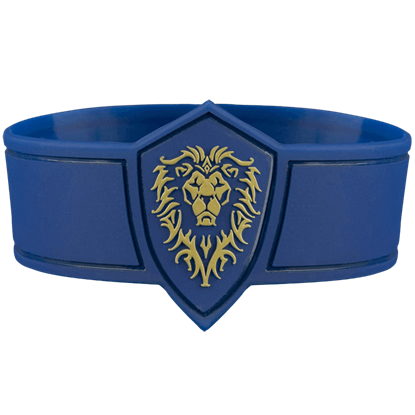 This Warcraft Movie Alliance Rubber Bracelet gives you a new way to display your allegiance with the humans of Azeroth. This flexible blue bracelet is made from 100 percent silicone rubber, making it supremely comfortable to wear. The Horde was created when several of the orc clans of Draenor rallied together under the warlock Guldan and the warchief Blackhand. This Warcraft Movie Horde Logo Metal Keychain displays the emblem of the Horde in the 2016 film. 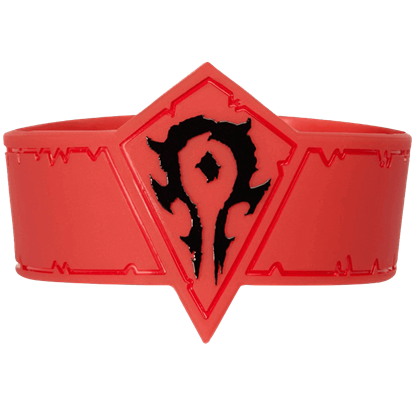 This Warcraft Movie Horde Rubber Bracelet gives you a new way to display your allegiance with the Orcs from Draenor. This flexible red bracelet is made from 100 percent silicone rubber, making it supremely comfortable to wear. This very unique shield for all the World of Warcraft fans out there. 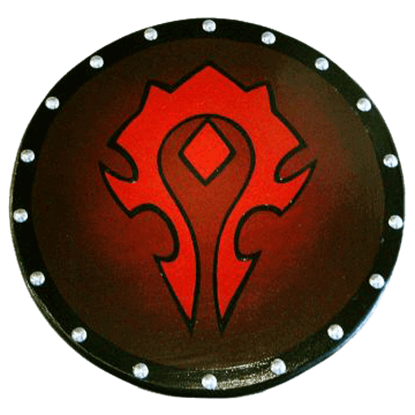 The Wooden World of Warcraft Horde Shield features the dominant symbol of the Horde. The design has been hand-painted over an airbrushed red fade background.